John Ågren holds a PhD from the Royal Institute of Technology (KTH) in Stockholm, Sweden, 1981 and was appointed full Professor in physical metallurgy at the same university 1991. After his PhD he has been staying at ManLabs Inc. in US and at MPI in Dusseldorf for periods of time. He was the head of the department of materials science and engineering at KTH 1993-1997 and the chairman of PhD studies in mechanical and materials engineering 1993-2003. He was a member of the KTH faculty board 2003-2006 and has launched and been the director of the BRIIE and Hero-M excellent centers. He is one of the developers of the softwares Thermo-Calc and DICTRA and one of the founding fathers of the company Thermo-Calc software AB and is the chairman of the directory board since 2001. 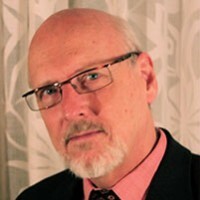 He is a member of the “Integrated Computational Materials Engineering (ICME) Committee” of TMS since 2009. He has been instrumental in introducing the concept of the materials genome. Ågren was appointed responsible for the development of the education programs within the proposal for EIT KIC Raw Materials 2013 which was approved 2014. Ågren is a member of the Royal Swedish Academy of Engineering Sciences and a Fellow of ASM since 2011. He received the Hume-Rothery award from TMS 2011, the Sefström medal in Sweden 2012 and the Jacob Wallenberg Foundation Award 2013. Ågren has been the main supervisor for 28 graduated PhD which are now active in academia and industry in Sweden and worldwide. Ågren has published more than 200 journal articles within the areas of phase transformations, diffusion and thermodynamics with an emphasis towards modelling and simulations. Aring;gren’s expertise covers a wide range of materials such as steels, super alloys, cemented carbides as well as topics like powder-metallurgical processing and heat treatment of steels.